When you work with Fox World Travel as your business travel program partner, you get a team of business travel consultants who provide expert advice and guide you in developing a travel management program that fits the needs of your travelers and your organization. We help with every aspect of your business travel program and make sure your travelers are more than satisfied with their travel planning experience. It’s likely that managing your business travel program is only a part of what you do for your organization. We know how difficult it can be to keep travelers happy while continuing to manage a business travel program that meets your organization’s expectations. That’s why we’ve developed tools, partnered with others in the travel industry and assembled a staff of trained experts to guide you in developing a strong business travel program. We begin each new business travel management relationship with a formal onboarding process. Fox World Travel has an entire department dedicated to implementing your corporate travel program and any contractual obligations outlined by your company. Then, your account will be assigned to a dedicated client solutions manager who will help you create business plans to match your travel management goals and provide you with the necessary steps to reach these goals. You will receive regular reviews of the business plan. Throughout our relationship with you, we will offer several travel manager education opportunities. The travel industry is ever evolving, with world-wide events and the economy playing a part in these changes. We will continually inform and educate you on how changes and trends affect your travel program. Fox World Travel offers a selection of consulting services that will enhance your business travel program and save you time. Hotel RFPs: You don’t have time to negotiate prices with every hotel frequented by your business travelers, so we do that for you. We ensure hotels are offering their best rates, and we conduct periodic audits to ensure travelers are receiving those rates. Corporate payment options: Our consultants can help you choose the best corporate credit card to match your travel spend. Policy development: If your organization doesn’t already have a defined business travel policy, we will help you draft one. And if your policy needs an overhaul, we are experts in customizing your policy to fit your corporate culture and strategic business goals. Multi-national corporations: If your employees are located and travelling around the world, Fox World Travel will leverage our affiliate network through our strategic alliance with BCD Travel to manage your business traveler needs. Our business travel management services are not the same for every travel manager. Instead, our suite of booking solutions, mobile solutions, traveler tools and communication tools are customized especially for you. 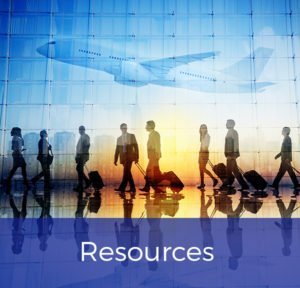 We have the subject matter experts and industry experience to build a program that is the best fit for your business travelers and your organization. In this way, we all Soar Together. Our corporate travel consultants are ready to work side by side with you to develop your unique business travel program. Call us at 920.236.8000 or 888.369.8785 to see how our travel consultants and tools can help you succeed.